Room availability is from ½ hour after opening to 1 hour before closing time. An additional Security Fee of $50 per hour is required for meetings held outside the library's open hours. 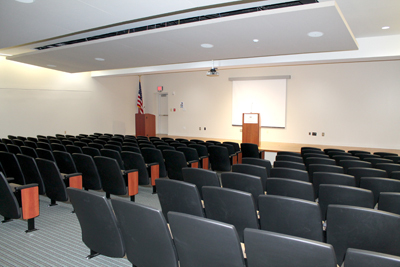 Audiovisual Equipment is available in the Auditorium; equipment must be reserved in advance. Food is not allowed in the auditorium; a multi-purpose room must be reserved for receptions.